As Street Fighter V moves into its second season of competition, players are scoping out which characters may be a problem in the months to come. Urien, who joined the game last September as a piece of downloadable content, has already garnered Capcom some side-eye due to his seemingly overpowered moveset. However, a simple counter recently popped up in the most unlikely of places. A player by the name of Elbueno recently found themselves facing down the overwhelming might of Urien while taking part in an online tournament hosted for Street Fighter V newcomers. But spectators were in for a treat as Elbueno unleashed a noteworthy Karin technique that acted as a perfect counter. Urien first joined the Street Fighter universe in Street Fighter III: 2nd Impact, earning fans in both casual and competitive spheres thanks to his distinct look (gotta love the loincloth) and tools. When it came time for him to jump into Street Fighter V, players were again ready to confound opponents with tricky Aegis Reflector setups. 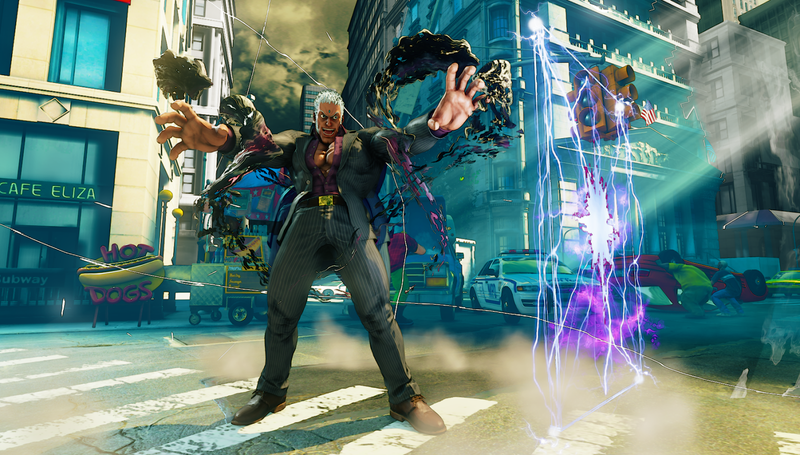 These moving barriers form the foundation of Urien’s gameplay, allowing him to play defensively, trap opposing players, and even create unique juggle opportunities when paired with his other attacks. He looked to be a solid expansion to the Street Fighter V cast early on, but a recent balance update has made him into one of the strongest characters the game has to offer. In addition to making several attacks safer and easier to combo from, the developers saw fit to double the damage on Urien’s Aegis Reflectors and increase the corresponding meter earned by certain moves, making his ubiquitous plasma walls easier to activate. While players were certainly making waves with him before the path dropped, Urien’s prevalence in high-level competition only grew after the update. This phenomenon was most notable at early February’s Winter Brawl XI, where half of the finalists used the new character at least once in their top eight matches. Whenever a character like Urien pops up in a fighting game, you generally have two choices: complain or adapt. Complaining certainly has its advantages in this new era of development, where studios are more likely to update a release based on the input of the community. However, the best competitors are the ones who jump into training mode and learn counters. These strategies typically show themselves at high-level offline events, but an online beginners’ tournament provided a sneak peek at what lesser-known players have been working on to defeat Urien. During the latest installment of the weekly Reddit Beginners/Intermediate Discord competition, Elbueno showcased how the aristocratic Karin can bypass Urien’s walls with ease. By using the projectile dissipation properties of her Guren Ken, Elbueno strikes the Aegis Reflector with the first strike and, as the wall is essentially a three-hit projectile, transitions to Karin’s slide to bypass it and punish the Urien player. Since the slide isn’t invulnerable to projectiles, the strategy likely depends on precise spacing to ensure Karin’s hurtbox doesn’t intersect with the Aegis Reflector, and it’s not always guaranteed to punish if you’re playing an Urien who knows what’s up. Plus, the slide is extremely unsafe on block, so careful planning will be required to ensure you don’t eat more damage than it’s worth. Despite this smart use of Karin’s attacks, Elbueno would eventually lose to his opponent, finishing the tournament tied for seventh place. There’s always next week! Is this a complete solution to Urien’s dominance? No, not really, but it’s yet another sign of the ingenuity of the competitive fighting game community. Rarely is there a character or strategy so powerful that they completely break the game, especially when it comes to the genre’s modern offerings. The technique displayed by Elbueno is just one more reason to keep studying your favorite fighting game. There’s always something new to learn, even from players who won’t be winning Evo anytime soon.